Free Soft-Pak math software with Math Mammoth products. What is the Softbasics Soft-Pak? The Soft-Pak consists of 6 programs (4 math, 1 language arts, 1 list maker). These are low-graphics, high content, on-task software programs that offer on-screen and printable activities, complete with printable session results for recordkeeping. The Soft-Pak programs are made for Windows, and suit best ages 6-13. Over 10,000 homeschooling families are using the Soft-Pak (list price $24.95 plus s&h) with excellent feedback on their usefulness. You will get all six programs TOTALLY FREE with the purchase of any of the digital versions of Math Mammoth bundle products, or any of the Light Blue series grade-level products . The software installation files will be on the CD or in the zip file you download. The six programs within Soft-Pak are listed below. Math Maker - printable worksheets/activities with answer keys. All activities arranged in order, easy to hard, for logical progression. Printable study guides for clear math explanations, too. Math Master - same activities as Math Maker, but on-screen. 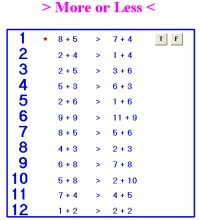 (All math processes, such as multiplying fractions, decimal work, long division, borrowing and carrying etc are demonstrated on screen, step by step, and then may be tried.) Printable session results - a must for homeschoolers. 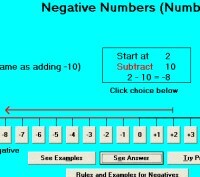 Math User - on-screen program for solving the 900 multi-level word problems (also printable in Math Maker) with a built-in calculator. True/False Math Challenger - on-screen program for answering math questions that are either True or False using motivational activities. Includes math "facts" that are either true or false. Extremely effective for rapid math fact mastery. Language Arts Master - covers spelling and reading (over 4000 words included) plus usage, writing mechanics, reading speed and recall, and a non-threatening grammar section: parts of speech, subjects and predicates, phrases and clauses, and sentence structure. Printable activities with answer keys. 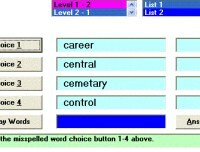 List Maker - used to CREATE personal word lists for use in LA Master spelling and reading.